Not only famous for the market, shopping paradise near the border gate, Lang Son Province also attracts tourists by historical relics, stories in the legend and beautiful nature. 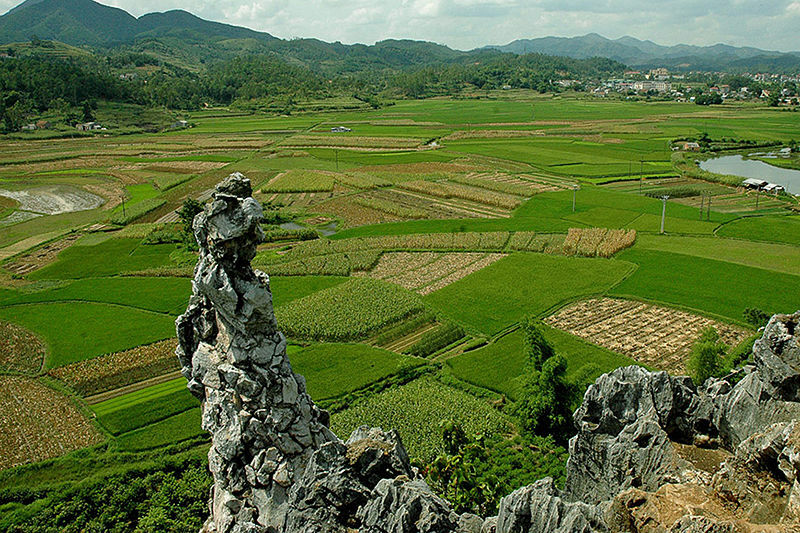 Lang Son Province is one of the best places to visit near Hanoi in every way so you can add this wonderful destination to your sub-plan besides Hanoi tours. Belonging to Tam Thanh ward, Lang Son city, Tam Thanh pagoda cave is the famous landmark of Lang Son. The cave has many natural stone stalactites created with many unique shapes that attract the curiosity of visitors. Tam Thanh pagoda contains many cultural values ​​and especially up to now, it still preserves many valuable objects such as Amitabha Buddha Amitabha in Le – Mac Dynasty. 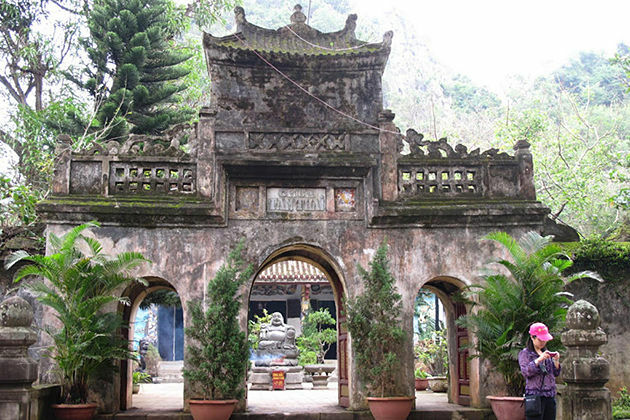 Located in the scenic spots of Tam Thanh and Nhi Thanh and associated with the legend of To Thi’s faithfulness, To Thi Mountain has become a place of worship of the people here. This is a famous tourist destination in Lang Son, Chi Lang Gate is the place to record traces of many heroic historical victories of Vietnam. 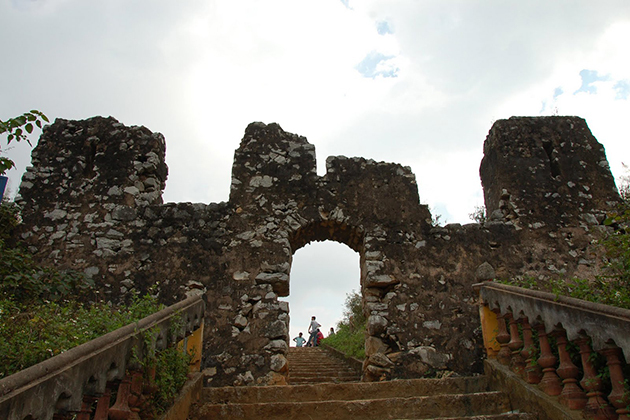 Along with the rugged terrain, the land is regarded as a wall of Thang Long citadel in blocking the famous expeditions. With a monumental scale, Chi Lang Gate is considered as a beautiful landmark in Lang Son that you cannot ignore. Located in Tam Thanh Ward, Lang Son City, this is a military architectural monument reflecting the feudal period of Vietnam. With the road from the foot of the hill to the city gate with straight steps, you will admire the panoramic view of Lang Son city and look great from above and look majestic and dreamy again. 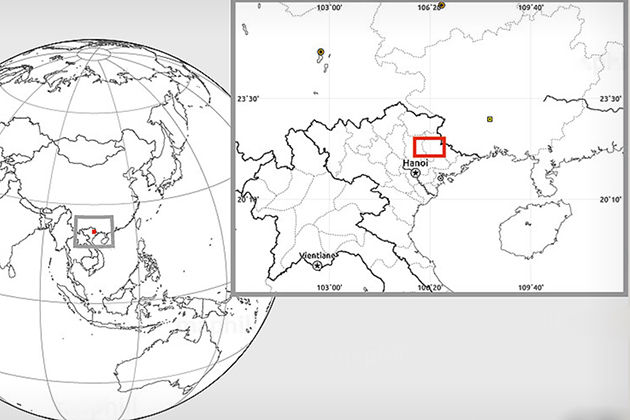 This is an interesting destination that visitors will once again go from one surprise to another surprise. Although newly built, it can be said that this is a project of great significance. The flagpole is located in the center of Lang Son city, standing there, you can see the whole city at magical colorful night. The place has a unique architecture with beautiful scenery. This is also considered a famous spiritual destination of Lang Son. Located in Vinh Trai Ward, this is a sacred place to worship the god Giao Long whose mission is to keep the year-round rain and wind inside the temple there is also Ky Cung wharf, which is one of eight beautiful scenes of Lang Son recorded in Doanh Bat Canh of Ngo Thi Sy. Huu Nghi International Border Gate is an international border gate of Vietnam located on the Vietnam-China border. This is the connecting point of Nam Ninh – Hanoi highway, which is an important bridge in developing economic relations between Vietnam and China. At Huu Nghi international border gate, the Vietnamese side has the landmark 1116 and Chinese side has the landmark 1117, which are all big milestones, with the Coat of Arms of the two countries. Huu Nghi International Border Gate is located on National Highway 1A, 17 km from Lang Son city to the North. 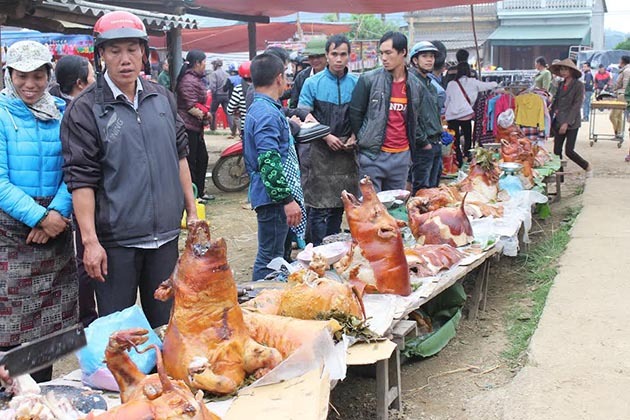 Discovering Lang Son without experiencing the famous shopping markets in Lang Son such as Ky Luu Night Market, Dong Kinh Market, Tan Thanh Market … is a big shortcoming. Sour noodle soup: Sour noodles include noodles, fried sweet potatoes, pork liver, fried chicken meat, onion, roasted peanuts, cucumbers, Chinese sausage,… with the greasy broth of duck fat and spices marinated in meat. 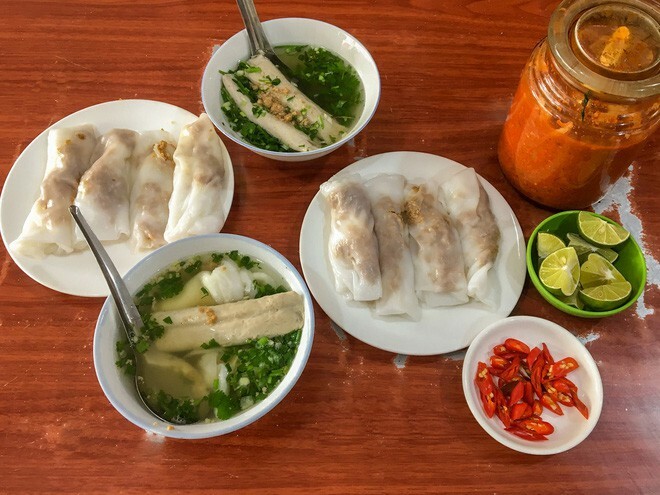 Egg steamed rice rolls: This is the most popular dish in the morning of Lang Son. The special feature lies in the filling of the cake, with the wood ear and the chicken eggs. Fried rice pancake: This is a cake with peel made from glutinous rice and fragrant crispy rice like donuts and hidden inside is the famous barbeque duck of Lang Son. Huu Lung Grilled Roll: Nem is made from raw meat, after fermenting for about 2 to 3 days, it is baked on the stove. Nem is eaten with sweet and sour sauce to create its own unique flavor that only has in Lang Son. Mau Son Wine: A Lang Son specialty you should not ignore that is Mau Son wine. 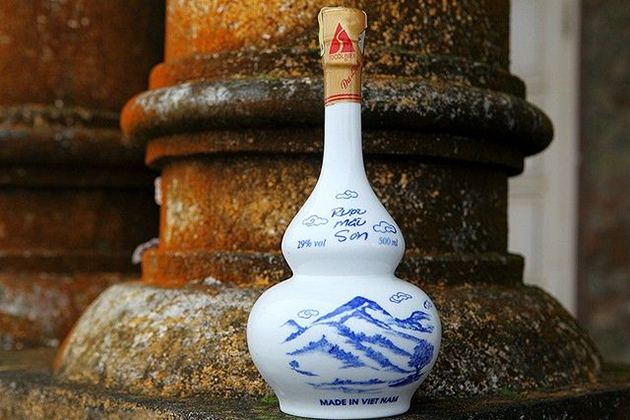 The wine is made by the Dao who live on the top of Mau Son. It distills with traditional methods and the ferment of forest leaf made from over 30 herbs. Mau Son Peach: Peaches are white and green, the outside is a soft fluffy shell, and the natural aroma makes it becomes a gift not to be missed when coming to Lang Son. Lang Son in any season of the year has its own unique interesting features. You should choose the time for your trip to suit your interests. If you want to relax and have a peaceful time in Hanoi nearby places, you can go to Lang Son on summer days. Traveling to Lang Son in winter, you can have the opportunity to admire the white snowfall. If you want to learn about the special cultural festivals of the ethnic groups in Lang Son province such as Ky Lua festival, Tam Thanh pagoda festival,… January is the right time for your trip. As the best places to visit near Hanoi, Lang Son is only 180 km from Hanoi to the Northeast and the traffic is very convenient so visitors can get to Lang Son from Hanoi easily in 2 ways. By coach: You can go to My Dinh, Gia Lam or Luong Yen station to pick up the coach to Lang Son with the fare ranging from VND 100,000 to 170,000/person. Located in the heart of the city, 100 meters from Lang Son station, adjacent to the famous commercial centers such as Dong Kinh market, Ky Lua night market as well as tourist sites like Tam Thanh – Nhi Thanh cave. With a very favorable location, Muong Thanh Lang Son Hotel is a wonderful choice for visitors. Designed for both business and leisure travel’s purposes, Vi’s Boutique Hotel is ideally situated in Lang Son City Center, where customers will get the best accommodation to enjoy the fun activities here. Coming to the border area, you will not only be immersed in numerous landscapes but you will surely enjoy the most crowded shopping space in the North of Vietnam. We hope that Lang Son tourism will bring you a pleasant and happy journey in Northern Tours from Hanoi.